The Center for Excellence in Education recognizes that RSI and USABO participants will be colleagues throughout their careers. 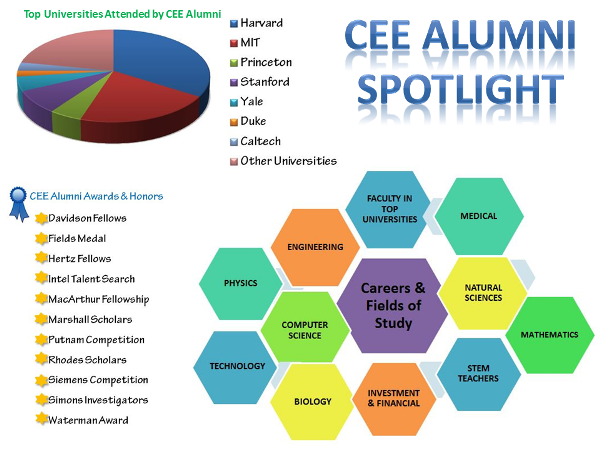 CEE offers scholars many activities to foster camaraderie and opportunities to foster leadership in science and technology. Click Here to submit your resume for consideration. Please contact Maite Ballestero for more information about RSI alumni opportunities. Please contact Kathy Frame for more information about USABO alumni opportunities.